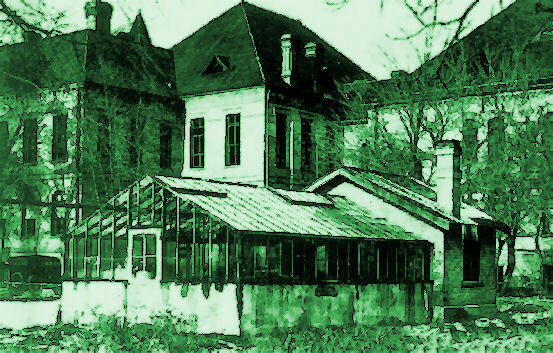 In 1913 a greenhouse building was constructed on the Lower Campus. It was thought that it would primarily serve the Agriculture Department, then one of the largest programs at the fledgling Brigham Young University. In those years, University classes in all disciplines were taught on the Lower Campus, side-by-side with Brigham Young High School classes, and elementary classes in the Training School program. Everyone on campus was impressed when they learned that the Consolidated Wagon and Machinery Company had donated several thousand dollars worth of harvesting and soil working machinery for student use. However, with classroom and storage space both at a premium, the school needed a place to store and use these gifts. George H. Brimhall, then President of the BYU, had been one of the first graduates of Brigham Young Academy, finishing with the high school Class of 1879. He eventually became a faculty member, teaching Theology, Pedagogy, and Psychology between 1897 and 1932. Brimhall had already served as the fourth Principal of BY Academy from 1895 to 1900. He had then been named President of Brigham Young University, and he served in this office from 1904 until 1921. Seeing a special need, President Brimhall recommended to the Board of Trustees that a greenhouse be constructed on the campus. He suggested that it could be erected on the lawn area south of the College Hall Building. The cost of this new structure was estimated to be $500. Approval for this project came on August 29, 1912. Construction was completed during the following year, 1913, and the cost estimate proved to be accurate. The new greenhouse was a relatively small structure. It consisted of two parts: a glass-covered section, and a "head house". The glassed-in area was about 18 feet by 25 feet with louvers in the top for ventilation. Below the glass was a concrete plastered foundation. The head house was 12 feet by 18 feet. In the beginning, coal was used for firing the boiler in the head house, and later the heating fuel was changed to gas, which was less labor intensive. All departments in the University, secondary and elementary schools designed and carried out experiments at the greenhouse. Scheduling was tight became someone was always planning to use it. Flats of plant experiments were carefully marked and mapped so their keepers could find them, tend them, and record observations. 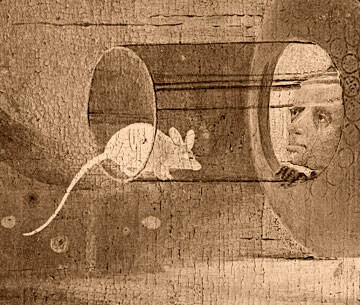 Clawson Y. Cannon from the Animal Husbandry Department carried on some white rat experiments in the head house, but one night something malfunctioned in the gas-fired heater, and that particular rat experiment came to a lamentably early end. One year a pair of cougar kittens arrived on the Lower Campus. 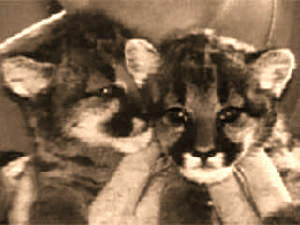 The plan was to raise them to be cougar mascots for the University. A small pen was designed and constructed in the southeast corner of the greenhouse to serve as the home of the kittens. It proved to be an excellent place for them while they were kittens because it was centrally located on the campus, and everyone, including elementary students, could easily watch them through the glass. 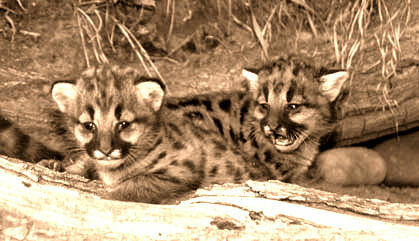 The young cougars remained there until they became too large for their living quarters. The greenhouse building proved to be useful in many other unexpected ways. For example, it served as an excellent model for students taking drafting classes. It was small enough for them to measure every dimension easily, and they could then draw it in perspective. 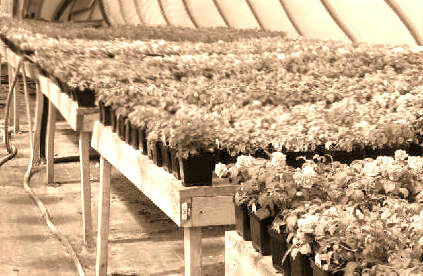 The greenhouse served as an educational asset remarkably well for 42 years, but it was removed in 1955 when new Upper Campus facilities inherited many of the functions it had served. 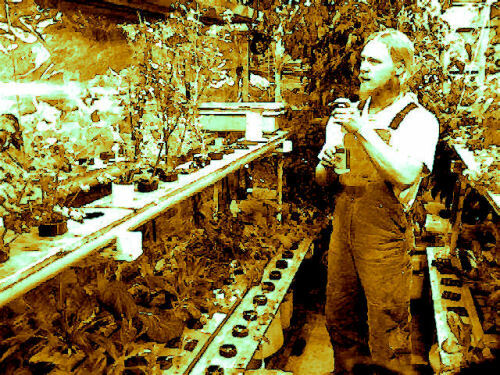 Lower Campus greenhouse served for 42 years.